International Comedy Jam & Late Night After-Party! • Mo Na. Arab Female Comic. 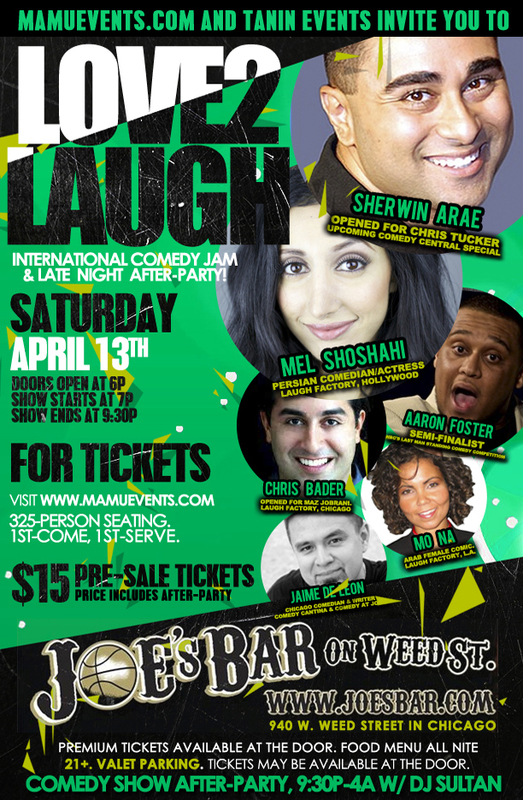 Laugh Factory, L.A.
Click here for $15 pre-sale tix. Price includes After-Party. Seating for Comedy Show is 1st-come, 1st-serve. Door tix available for premium. Food menu all nite. 21 to enter. Valet parking.